Click on the image below to view our new "Workshop Deals" Flier, packed full of great deals and fantastic freebies to help you enjoy the rest of summer. Promotion starts 1st February 2019 & finishes 30th April 2019. 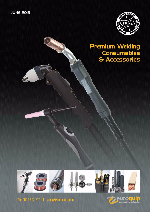 Check out the Euroquip' Consumables Catalogue. Please follow links to view or download the Strata Consumables Catalogue.